I’ve been indie publishing since 2011, and I’ve shared the knowledge I’ve gained in two books: the Indie Author Survival Guide, Second Edition, and For Love or Money. I’m not an indie rockstar or a breakout success: I’m one of thousands of solidly midlist indie authors making a living with their works. These books are based on my experience in self-publishing fiction and are designed to help my fellow writer-friends take their own leaps into the wild (and wonderful) world of indie publishing… and not only survive, but thrive. **UPDATED SECOND EDITION** (25% more content, every chapter updated) This book takes first-time authors through their first leap into indie publishing and gives already-published authors a jump-start for their lagging sales or new series. Inspirational and nuts-and-bolts practical, the Guide helps you tackle your fears, plan for success, market without feeling like a slimeball, and create a beautiful book package. It’s a guide for the heart as much as the head, designed to help you launch your publishing journey. Susan Kaye Quinn is the author of the Singularity Series, the Mindjack Trilogy and the Debt Collector serial (as well as other speculative fiction works) and has been indie publishing since 2011. She’s not an indie rockstar or a breakout success: she’s one of thousands of solidly midlist indie authors making a living with their works. This book is based on her experience in self-publishing fiction–the First Edition was published in 2013, the Second Edition in 2015, updated to account for changes in the industry. It’s a guide to help her fellow writer-friends take their own leaps into the wild (and wonderful) world of indie publishing… and not only survive, but thrive. This book is for people who have written and published more than one book. If you’ve been round that merry-go-round, and you want to take your career up a level, For Love or Money is for you. This is about growing, stretching, planning a career, and crafting a writing life. We’ll talk serious strategies about making money with your books, stretching yourself creatively, and gathering up the tools that you’ll need to be a success in this grand adventure of being a writer. 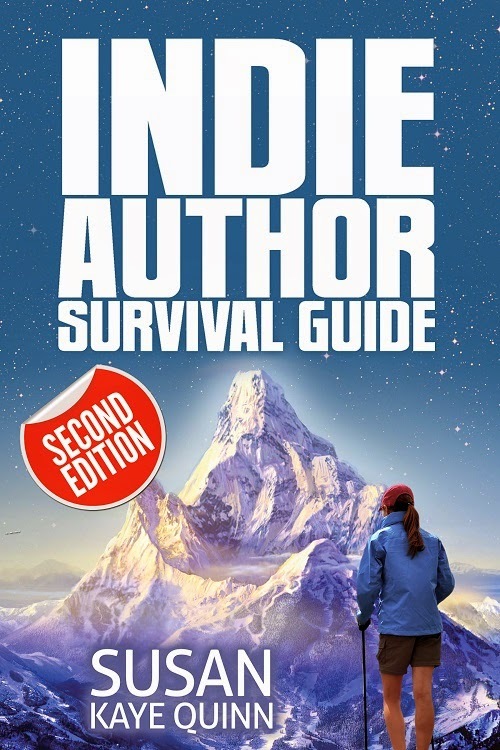 The Indie Author Survival Guide is designed to take a first-time-publishing author through the publication of their first indie book. For Love or Money looks at parlaying that first book into a career.